WASHINGTON — The longtime director of NASA’s Earth science division, who in recent years provided a steadying hand amid budget concerns while seeking to take advantage of new capabilities, will retire from the agency in February. NASA announced Aug. 29 that Michael Freilich, who had been director of the Earth science division at NASA Headquarters since 2006, will retire in February. The agency plans to start a search for a successor in the fall in order to ensure a smooth transition. “Words are not enough to express my deep appreciation for Mike Freilich’s dedication, creativity, and operational vision that has so positively impacted not only Earth science but also the broader NASA research community,” said Thomas Zurbuchen, associate administrator for science, in a statement about Freilich’s retirement. 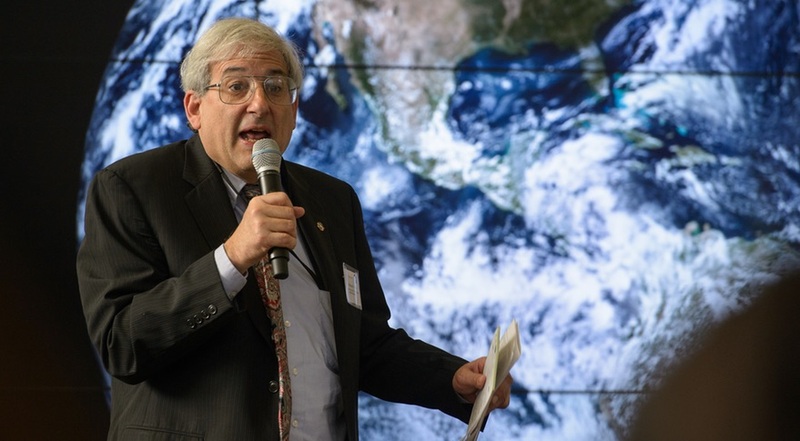 Freilich came to NASA Headquarters after a research career at the Jet Propulsion Laboratory and Oregon State University, where he was a professor and associate dean in the university’s College of Oceanic and Atmospheric Sciences. He was a member of research teams for several NASA Earth science missions during that time devoted to studies of ocean surface wind velocity. At NASA, Freilich led several major changes as the division shifted from a handful of large missions to a greater number of smaller missions. That included supporting a new “Venture Class” program of small satellite and airborne projects, as well as utilizing the International Space Station as a platform for Earth science instruments. Other initiatives include greater use of cubesats to collect Earth science data and the purchase of Earth science data from commercial satellites. Zurbuchen announced Aug. 6 that NASA would buy data from DigitalGlobe, Planet and Spire, although an agency spokesman later said that contracts with those companies for data purchases were still being negotiated. Freilich also had to assure the Earth science community of NASA’s continued investment in the field amid concerns that the Trump administration was planning to curtail research, particularly in climate science. The administration’s budget proposals for both fiscal years 2018 and 2019 sought to cut Earth science spending by about 10 percent and cancel several missions and instruments. “It is significant, but I would say that it is not existential,” Freilich said of the proposed 2018 cut at a July 2017 meeting of a NASA Advisory Council committee, adding that the agency was not making any changes to programs as a result of the proposed cuts. “We are not changing anything in our plans in anticipation of a future administration budgets.” The final omnibus spending bill for fiscal year 2018 restored the Earth science funding to 2017 levels, but Congress had not yet finalized a fiscal year 2019 spending bill for NASA. Freilich’s departure is the latest in a series of changes in leadership in NASA’s science programs. At a meeting of the NASA Advisory Council’s science committee Aug. 27, Zurbuchen announced that Nicola Fox, selected earlier this year to be the new director of the heliophysics division, would formally start work the week of Sept. 4. Fox is currently the project scientist for the Parker Solar Probe mission, which launched Aug. 12. Jim Green, who had been director of the planetary science division since 2006, was elevated to the position of NASA chief scientist in May. That division is currently led on an interim basis by Lori Glaze, a planetary scientist at the Goddard Space Flight Center. Zurbuchen announced at the Aug. 27 committee meeting that NASA had formally published the job opening for a permanent successor to Green. NASA is accepting applications for the position through Sept. 21.